3PE, we also called 3LPE. 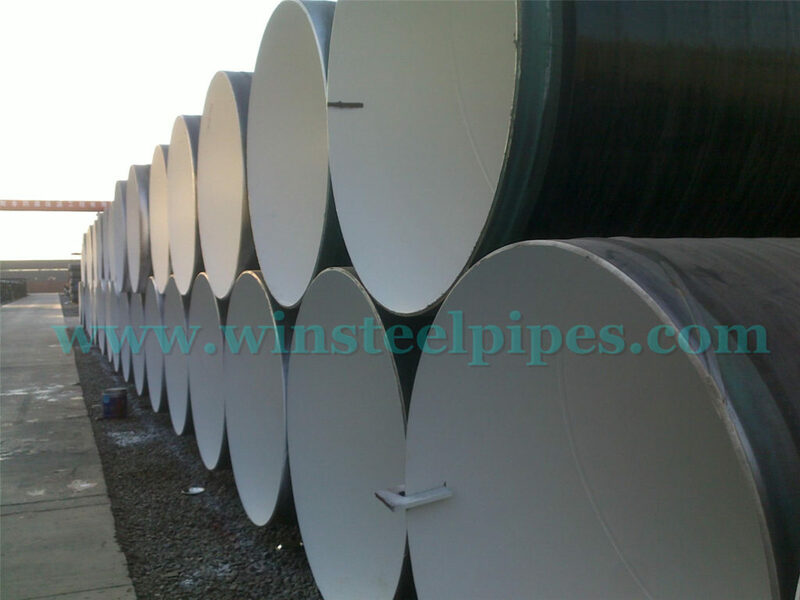 3PE coated steel pipe is one kind of coating method which used in carbon steel pipe. 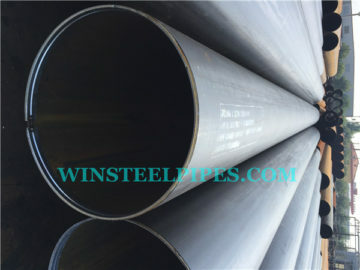 No matter it is seamless steel pipe of welded steel pipe, stainless steel pipe or alloy steel pipe, nickel alloy pipes or CRA clad or lined pipe, it can do 3PE coating for the pipes. 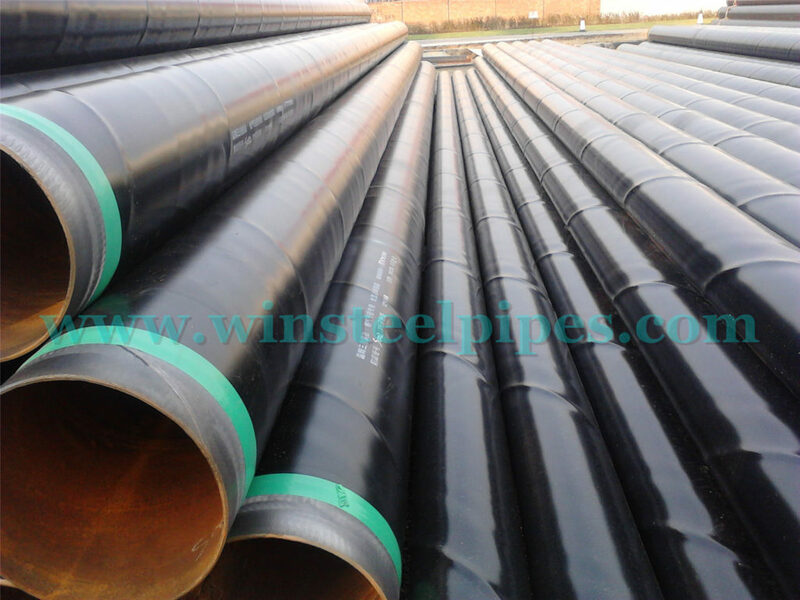 3PE coated steel pipe is commonly used in pipeline project. 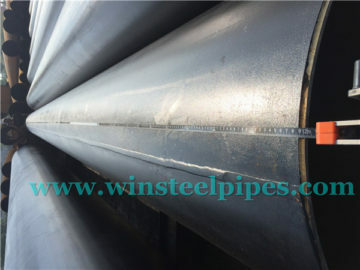 As carbon steel pipe are widely used in pipeline systems for transportation of oil, gas, water and other fluids. In such cases, they should have highly resistance to corrosive from chemicals, moisture, harmful environment and etc. 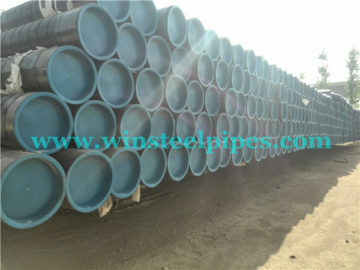 So it is necessary to make pipes coating to anti corrosion. So we usually use 3PE, 2PE, FBE coated and other lining method. 3LPE coating is commonly used, it including 3 layer polyethylene. 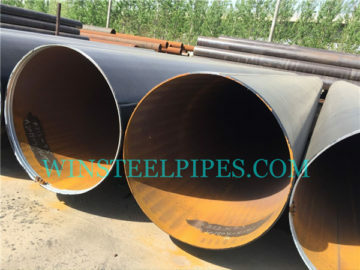 The 3PE coating steel pipe have good impact resistance, abrasive resistance, shock resistance, acid resistance, high quality and long service life. 3PE coating is the most commonly used method of anti-corrosion, in addition to 2PE, 2PP, 3PP. The manufacturing process of these coating are similar, but raw materials are different. This 3LPE manufacturing process is very simple. And it has good corrosion resistance and excellent anti-corrosion effect. This cheap anti-corrosion process is generally accepted all over the world. 3PE can strengthen the pipeline’s mechanical properties, high electrical resistance, waterproof, wearable, anti-aging. It could protect pipe from the heat loss which only account for 1/4 of pipe. 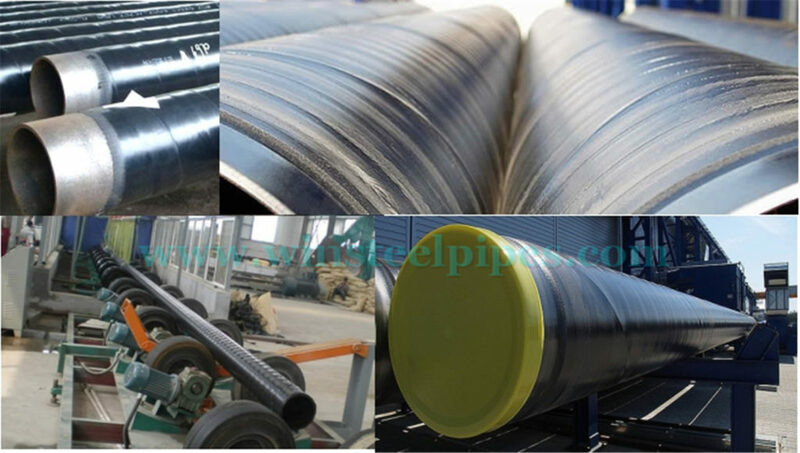 We use 3LPE coated steel pipe in transferring natural gas, crude oil and refined oil product over long distance. It also can be used in urban fuel gas piping system, storage tanks and groove piping system. 3PE’s main purpose is protecting pipes which used in electricity and communication industries and water piping systems. Just as its name implies, 3PE coating including 3 Layers. PE layers. Thickness is from 2.5 mm to 3.7 mm. It is polyethylene which have advantages to anti-water, electrical resistance and anti mechanical damage. It is very important layer. From the layers of 3PE, you will find that 3PE coated steel pipe integrated with the advantages of FBE and PE. It is more and more widely used in buried pipeline’s transporting of water, gas and oil. And it also means if one factory have 3PE coated steel pipe manufacturing equipment, they can do FBE coating pipes as well. High tightness. It can save energy, reduce costs, protect the environment in long-term operation. 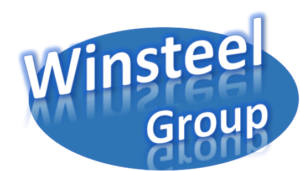 Corrosion resistance is very strong. The construction side simply speed. Up to 30~50 years service life. With good resistance to corrosion and impact resistance, low water absorption. The PE ( less than 0.01% ) at low temperatures. High strength epoxy. PE absorbent and hot melt adhesive softness, etc. have high corrosion reliability. 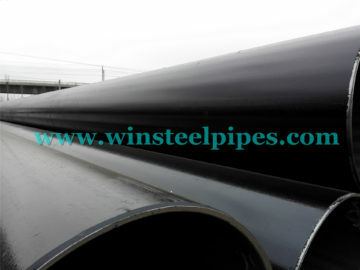 3PE coated steel pipe can prolong above 50 years. It is because 3PE coating has good stability and anti-aging performances under normal work temperature and pressure conditions. The elements of PE structure stability is high. So we can use it to prevent corrosion from natural gas, liquefied petroleum gas, artificial gas and other chemical subjects. And it need no secondary anti-corrosion equipment. The chemical of soil does not produce any effects to the steel pipe using 3LPE coating. 3PE coating is a kind of soft and flexible material, it breaks after prolong 5 times length. It is easy to bend without damage. 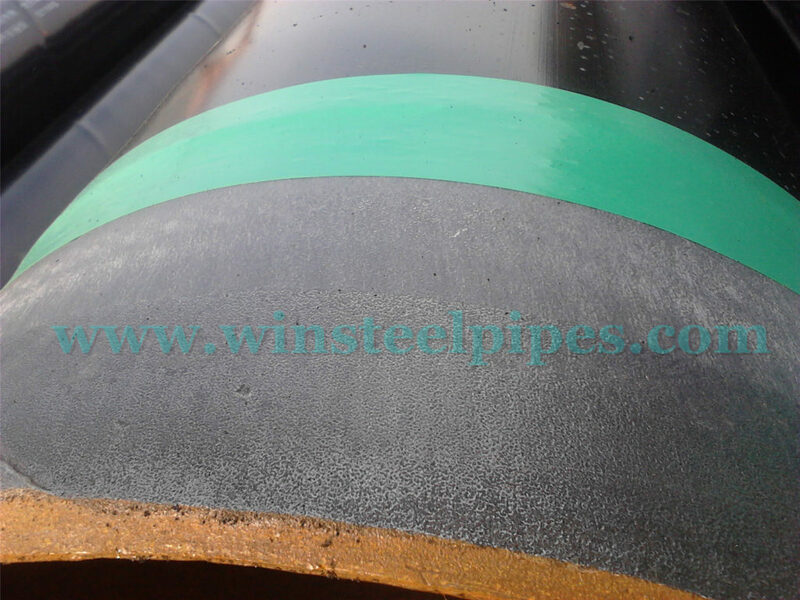 3PE coating steel pipe can bypass steel pipe and reduce the fees of installation. One of the important features of 3LPE coating is that 3pe is not fragile under low temperature. The temperature at the range of -60℃~60℃ is safe. So it can adapt to going down of pipeline work in winter. 3PE pipeline won’t easily to break due to its good impact performances. Tests show that PE pipe’s wear resistance is 4 times than bare steel pipe. 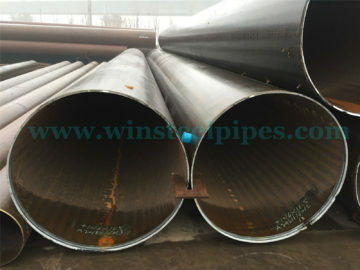 Especially transporting mud, compared with varnished steel pipe, PE coated pipe have better performance of wear resistance. 3PE has smooth surface, its manning coefficient is 0.009. 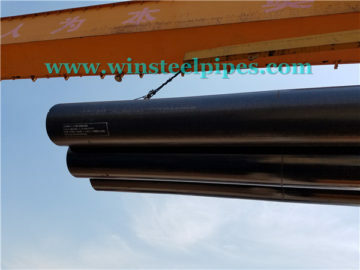 3PE coated steel pipes have smooth internal surface and non-sticking performance, so it shows higher ability for transporting water, and it reduces the loss of pressure when transporting. Comparing with other coating systems and FBE coated pipe, 3PE coated steel pipe’s low water permeation characteristic can improve the ability of isolation from sea water. PE material is a kind of green material without any harm and poison. It won’t add heavy metal stabilizer in manufacturing process of 3LPE coated steel pipelines. 3PE can recycled, so it will not cause pollution to the environment. Superb Electric Resistance and Anti-Static Performances. These properties make PE pipeline suitable for flammable and explosive conditions. 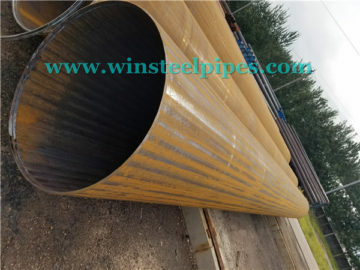 3PE coating steel pipe mainly use hot melt and fused connection, keep the interface and pipeline connect as a whole. There is no water and gas leakage. 3PE’s weight is light. It only accounts 1/8 weight of steel pipe. It is easy to move, to bend. And its welding process is convenient and fast. It has obvious economic benefits in whole project.